Each healer works differently, but there are usually commonalities. Most healers work to return the human energy-field to wholeness, harmony, stability, balance, and flow. Most of us try to keep our own egos out of the process, believing that we only support and perhaps amplify or accelerate our client's own marvelous natural processes. Some healers work within the medical model, aiming to cure or fix physical problems, while others place themselves outside the aims of the conventional medical model, placing more emphasis on spiritual development. Most of us use our hands, with which we can sense the field. We may work with our hands resting on the body, or may work only in the field. 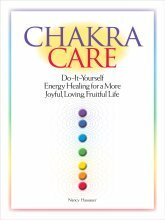 Many work with the chakra system, performing chakra healing and chakra clearing. Some can also "see" energy, or feel it elsewhere in their body than their hands. More rarely, they may experience it as sound, or even smell or taste. Some may also have visual images or words arise during a session. Some energy healers work with tools such as crystals, aromatherapy, or sound. Some also work with spirit guides, calling silently on them for guidance and help. Some energy workers integrate energy healing with other types of therapy, such as hypnosis, massage, or talk therapy. To do so, a healer is often required to be licensed to perform that type of therapy. As you can see, there many types of healers. My guess is that no two work exactly alike. However, it’s not the method that’s important -- a compassionate intention to support your wholeness, health, and growth is the most powerful tool of all. Still, a particular type of healer may appeal to you more than others. You can find out about some of the more well-known kinds of energy work here. And you can find some tips on finding a reputable energy healer here. Return to About Energy Healing main page.